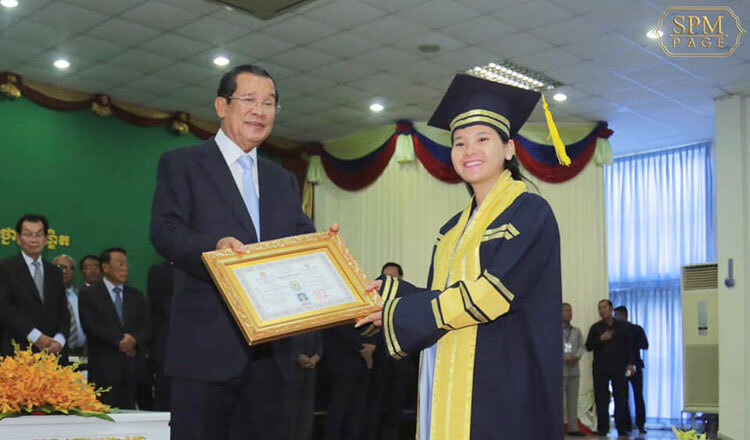 Speaking at a graduation ceremony at the national institute of education in Phnom Penh on Thursday, Mr Hun Sen said that the coup occurred in 1970 because of then Cambodian leaders’ collusion with a foreign country’s interference. “In 1970, at that time had Lon Nol, Sisowath Sirik Matak…not conspired to push for war and coup, and followed by an incitement by foreigners, the coup would not have occurred,” he said. Mr Hun Sen’s reaction came a day after Marshal Lon Nol’s son, Lon Rith on Wednesday said the peaceful removal of Prince Sihanouk from power was done by the National Assembly.